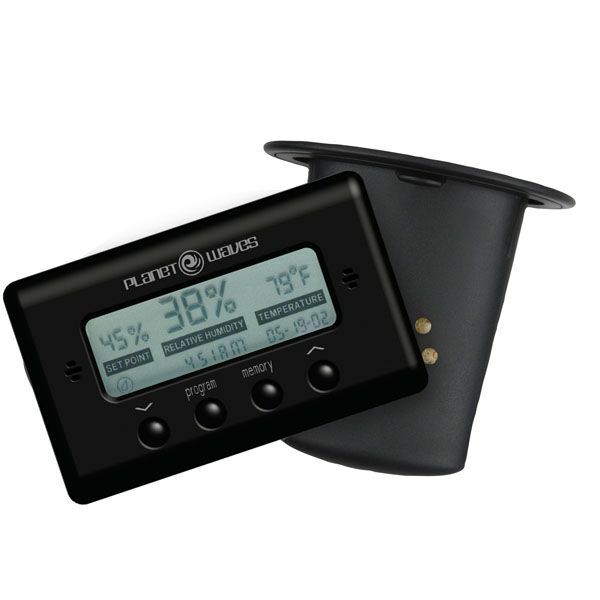 The Planet Waves Humidity & Temperature Sensor is a precision-designed hygrometer that digitally indicates accurate relative humidity levels ranging from low (under 20%) to 99%. Temperature is displayed in either Fahrenheit or Centigrade, ranging from -32°F to 122°F (-35C to 50C). The HTS includes a programmable set point, as well as a memory feature that indicates date/time of the highest & lowest temperature/humidity levels the instrument has been exposed to. 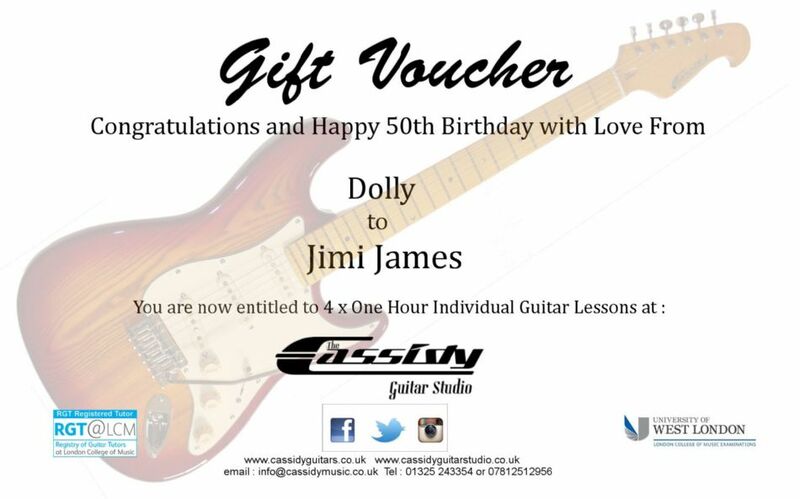 Get one for each of your instruments. 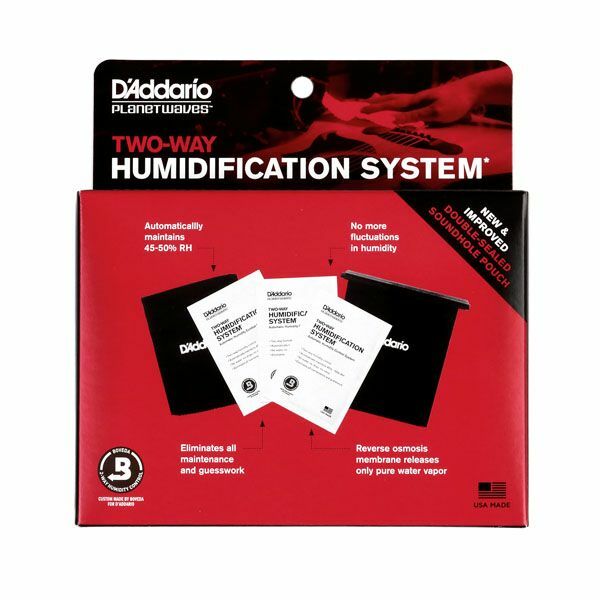 It’s a wise investment to properly install and use a Planet Waves HTS and a humidifier in each of your instrument cases.Accurately displays temperature and humidity levels.